As part of the upcoming Vestegnen’s Culture Week, 8-17/9, in Copenhagen’s western suburbs – the city of Albertslund will exhibit a new artistic and digital lighting invention – titled the ‘Hyperchromalux’. We asked the french artist, Fred Sapey-Triomphe, to tell us what to expect when we explore it. Q: What is the concept behind your upcoming art installation, the ‘Hyperchromalux’ in Albertslund, and how do you wish it to be received by the people visiting it? 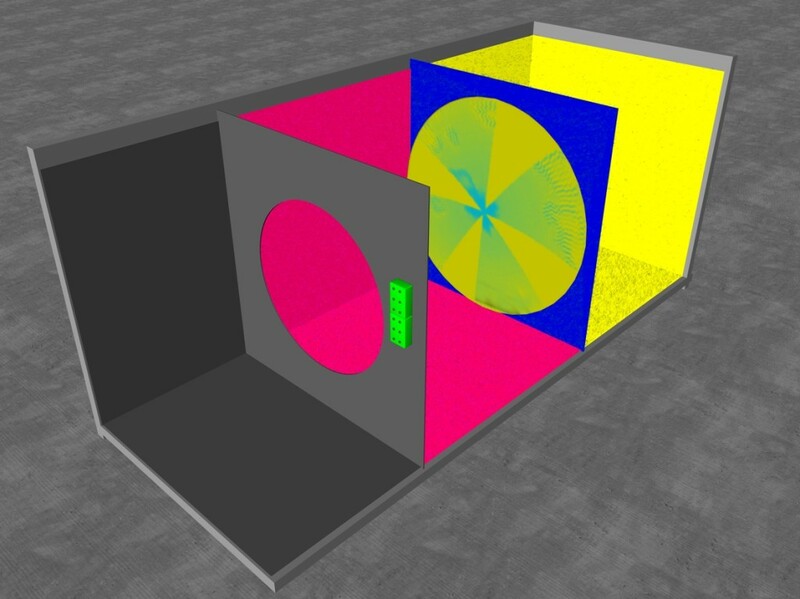 A: For Albertslund, I imagined this new installation, called Hyperchromalux. This installation offers a set of visuals and sounds combinations. The public will mix together a set of ultra violet lights with fluorescent materials, sounds and a high speed electronic rosacea, to choose different combinations of visual, colored and sound sequences. I would like to offer the public of Albertslund a singular interactive and sensory experience around light, colors and sound. Q: What in your view makes light so interesting to work with artistically? A: Light interests me artistically when it is at the same time colorful, immaterial, ephemeral and spatial. With LED technology, light takes on an extra dimension. It allows a light to be directly colored from the emission source. The scattered colors are of a unique quality and purity. Light reveals a space giving it an unreal, floating dimension that brings me to a strong poetic feeling. A: The City of tomorrow is appearing in front of our eyes, with more and more complex segmentations, networks, communication and diversified uses. For me, the integration of new lighting technologies can reach up to an artistic expression when based on a process that is dynamic, creative, sensitive and user’s friendly. The Hyperchromalux and five other digital interactive installations, can be explored September 8-17, in and around the six participating municipalities. The Hyperchromalux will be installed by Albertslund’s City Hall pond. For more info please visit the official website of Vestegnen Culture Week here.